Finally we have reached the end. If you have kept in touch with all the latest develooments in the world of all thing space you would have deemed yesterdays post the final entry in my poems for planets. This isn’t the case. When I studied the solar system in school, all those years ago, I was taught 9 planets. There was a whole mnemonic device to help me remember, till this day I fail to forget. I stay true to my original 9, here I offer to you some poetry for distant Pluto. Lingering at the very edge of our solar system Pluto follows hus course. Having been demoted to the rank of Dwarf planet in 2006 pluto only gets an honorary mention in the conversation of planets. It’s made primarily of over water and some rock. When I say some rock, I really do mean some rock. Pluto is home to more water mass than all of earths oceans combined, despite being considerably smaller. While Pluto makes it’s rounds, there lives a moment that offers it a chance at possessing an atmosphere. It drifts close enough to the sun to allow the heat of to melt it’s stores of ice. Crystal glaciers turn into coursing streams. Mythologically Pluto is the god of the underworld. If you wish me to offer a Greek comparison, as I have done for most of my planets, I would have to offer up Hades. It’s a fitting position in the system for the overseer of the after world. Tucked away from the light and close to the blackness of this eternal night. My plan was to book end this series with two Haikus. Short sweet meditations on the two poles, The Sun and the brother of Poseidon and Zeus. With these words we part from an interesting journey through space. I hope you enjoy my parting gift. P.N. Feel free to revisit the rest of the series. Which has been your favourite? What new piece of knowledge have you been able to take away from these Poems? When I first saw pictures of Pluto, it was like looking at photos of an old friend. How can that be? 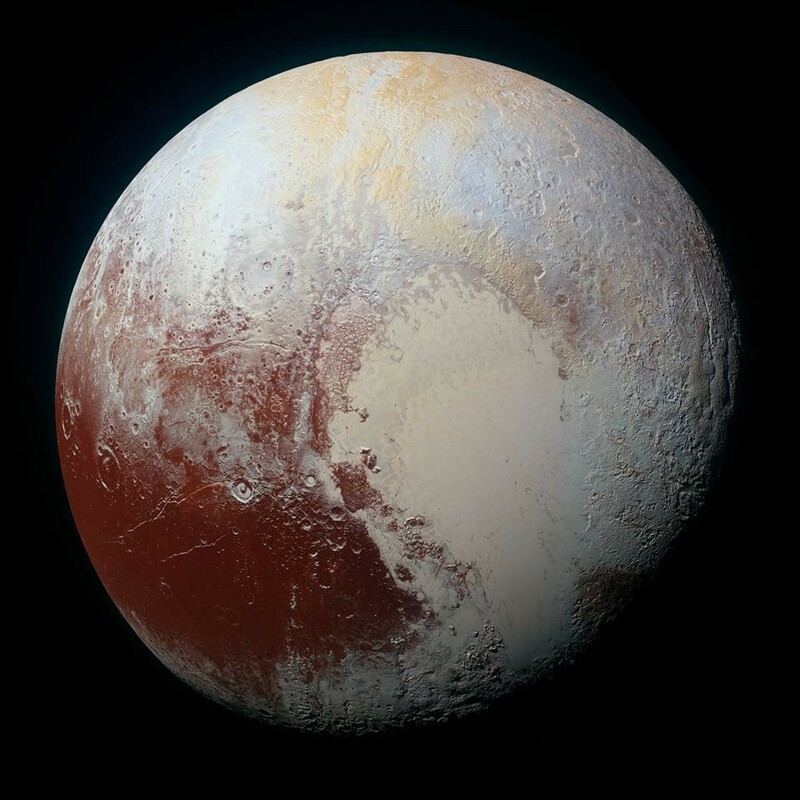 You might have a kinship with Pluto! Have you felt that familiarity with any of the other planets? Wonderful series! It’s important that we can see the universe with the eyes of a poet.